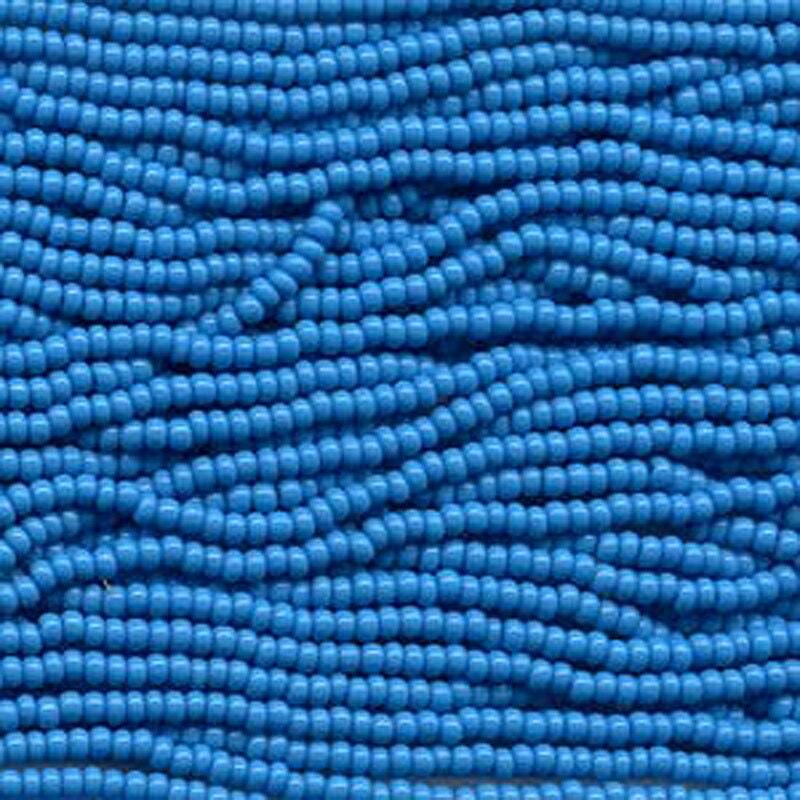 Opaque turquoise blue size 8/0 Czech glass seed beads. Size 8/0 beads measure about 3.1mm; there are about 36 grams of beads on this 6 string half hank, about 13.5 beads per inch....that's around 1,600 beads! Plenty of beads for your beading, looming, kumihimo, knitting, crochet, fiber arts projects! Exactly what I was looking for - thanks so much! Vert fast shipping and accurate order. Thank you!